In addition to the fake GBA games I went over in my last post, I’ve also ended up with a number of counterfeit Nintendo DS games as well. 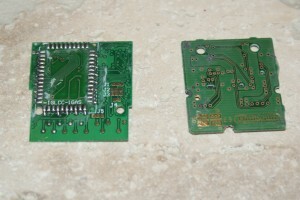 In this post, I’ll go over how to spot a fake Nintendo DS game, both from the inside and out. As with fake GBA games, fake DS games can come in all titles, both sealed and unsealed. 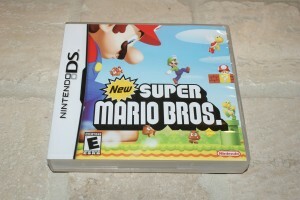 Some tell-tale signs of a fake DS game from the outside are an incorrect case (North American titles should come in black, white, or blue cases, while European titles should come in clear cases), a missing black production number on the rear of the cartridge, incorrect cover art (As with GBA games, anything with an ESRB RP logo can safely be considered fake), a poor quality, low resolution, or incorrectly regioned manual, or missing text on the game board itself. If a North American game has a CE symbol and no ESRB rating, chances are it’s also fake. 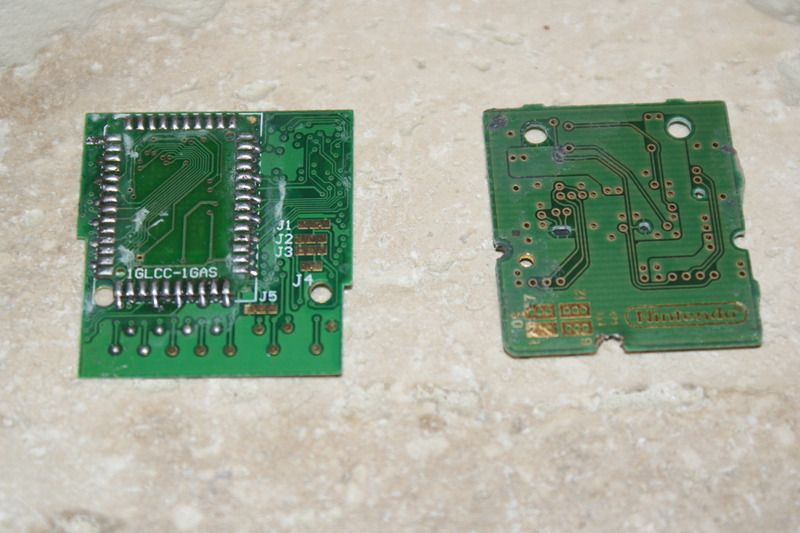 When disassembled, a fake DS game becomes quite identifiable. 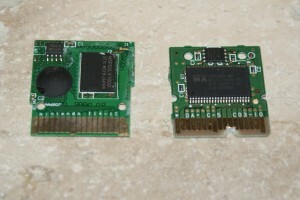 A fake game will be missing the usual MX-labelled chips, will not have the Nintendo logo on the board, may have “glob-top” (black plastic blob) circuits, and will have an incorrect ID number on the silkscreen (the white printing on the board – every title should have a different ID number). Front view – Right is real. Rear view – Right is real. 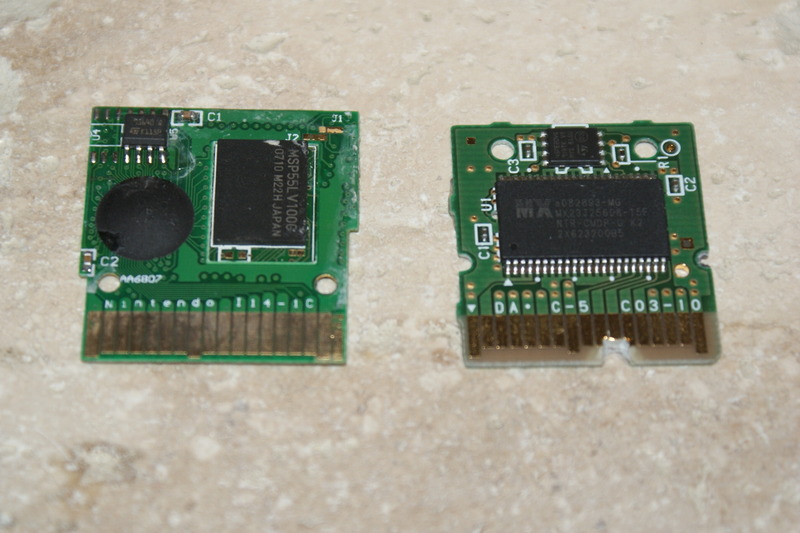 As with the GBA fakes, should you accidentally find yourself having purchased a fake cartridge on eBay, open a buyer protection case right away. If you can prove the cartridge is counterfeit, you’ll be refunded and be required to destroy the cartridges rather than sending them back.